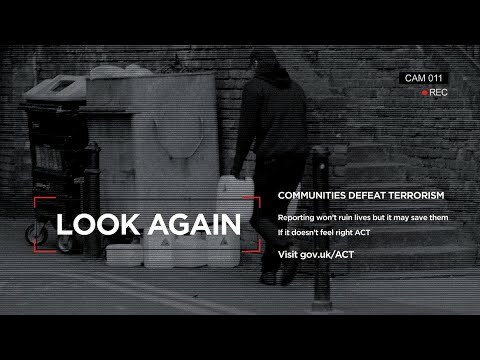 Counter Terrorism Policing are once again highlighting the importance of communities in the UK’s fight against terrorism by launching a new public information campaign, which will be shown exclusively in UK cinemas. Airing across 120 cinemas nationwide, including 13 across Birmingham, Sandwell, Coventry and Stoke, for the next eight weeks, the film will encourage people to report suspicious behavior and activity through www.gov.uk/ACT and the confidential hotline – 0800 789 321. Head of West Midlands Counter Terrorism Unit, Detective Chief Superintendent Matt Ward has praised the public’s willingness to ACT in response to the unprecedented terrorist threat, after it was revealed that the number of attacks across the UK foiled since March 2017 had risen to 18. “Thankfully, we did not see the horrors of 2017 repeated last year, but we should not be complacent enough to think the terrorist threat has diminished. Counter Terrorism Policing officers are currently running more than 700 live investigations nationwide and the UK terrorist threat level remains at SEVERE meaning an attack is highly likely. “However, crucial intelligence from the public has helped the police and the security services have prevented 18 terror attacks in just under two years. Twenty-two per cent of all reports we receive from members of the public produce important intelligence which is helpful to our investigations. “Like other criminals, terrorists need to plan and that creates opportunities for police and the security services to discover and stop these attacks before they happen. So if you see or hear something unusual or suspicious trust your instincts and ACT by reporting it in confidence by phone or online. The public are playing a crucial role in helping police and the security services disrupt terrorist activity, with more than 22% of all reports from the public producing intelligence which is helpful to police. Training courses are available throughout the year across Warwickshire to raise awareness of Prevent, and the signs to notice if someone you know is being radicalised into an extremist group. Details of when the WRAP, Train The Trainer, WRAP3 and Prevent Online Grooming sessions are being held can be found on our Prevent page, along with the referral form for Channel Panel.